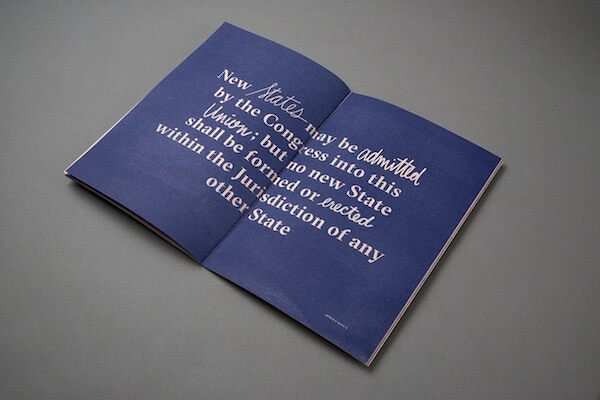 The 230-year-old US Constitution is not what comes to mind when you think of the words “easy reading.” With this in mind, branding agency ThoughtMatter set out to revamp the document in its project ‘For The People: Redesigning the Constitution’. The work has resulted in a modern booklet with a vibrant aesthetic, making it easier to read as well as distribute to schools and libraries. Given the current political climate in the US, ThoughtMatter decided to try and raise people’s awareness plus understanding of the document’s contents, as well as ignite conversations involving the principles of democracy. 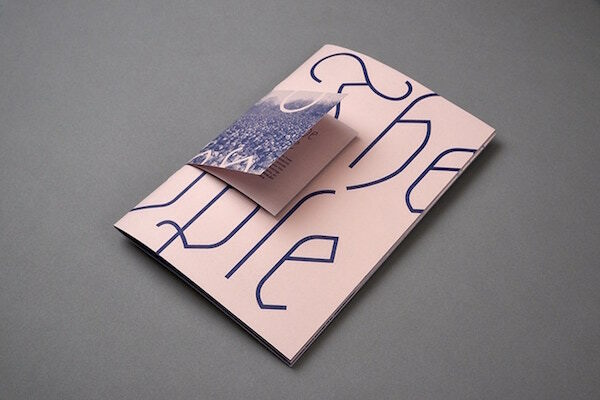 The team used typography, imagery, and layout to boost the booklet’s readability. 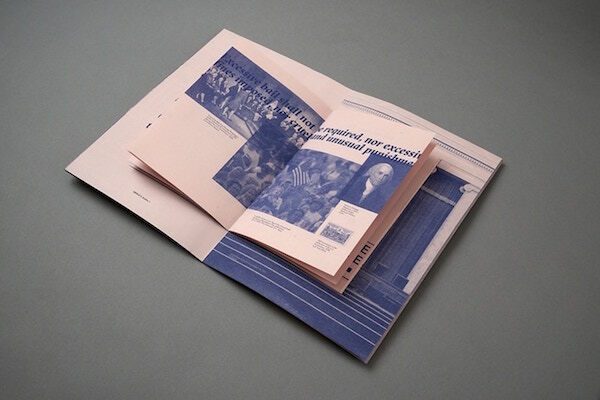 It comes laid out as a pamphlet with three distinct components. The smallest, outermost section comprises the preamble, followed by the largest section that contains seven articles, which form the main body of the constitution’s text. Last is the mid-sized, innermost component that features the Bill of Rights and Amendments 11 to 27. 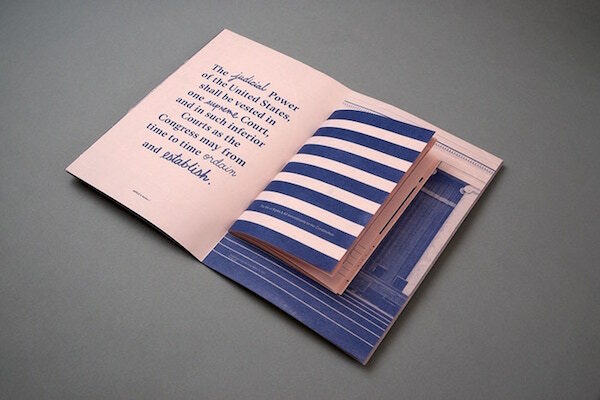 Text and imagery have been printed in blue soy-based ink on pink paper using a Risograph printer. Typography was strategically used to highlight key pieces of information. ThoughtMatter previously ran a Kickstarter campaign to bring the project to fruition. It managed to meet its fundraising goal, and will now distribute 1,000 copies of the booklet to schools and libraries across the US by 17 September—the date the constitution was signed. See images of the redesign below.